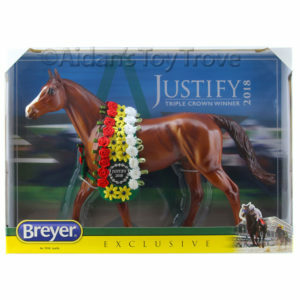 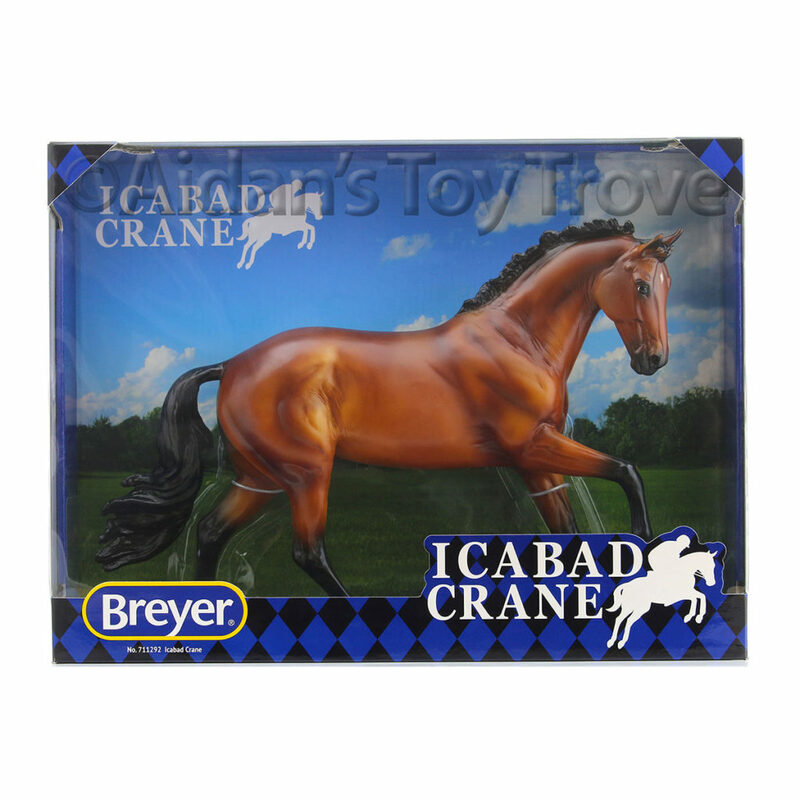 View cart “Breyer Secretariat 1345 – New In Box – Traditional Model Horse – Triple Crown Racehorse” has been added to your cart. 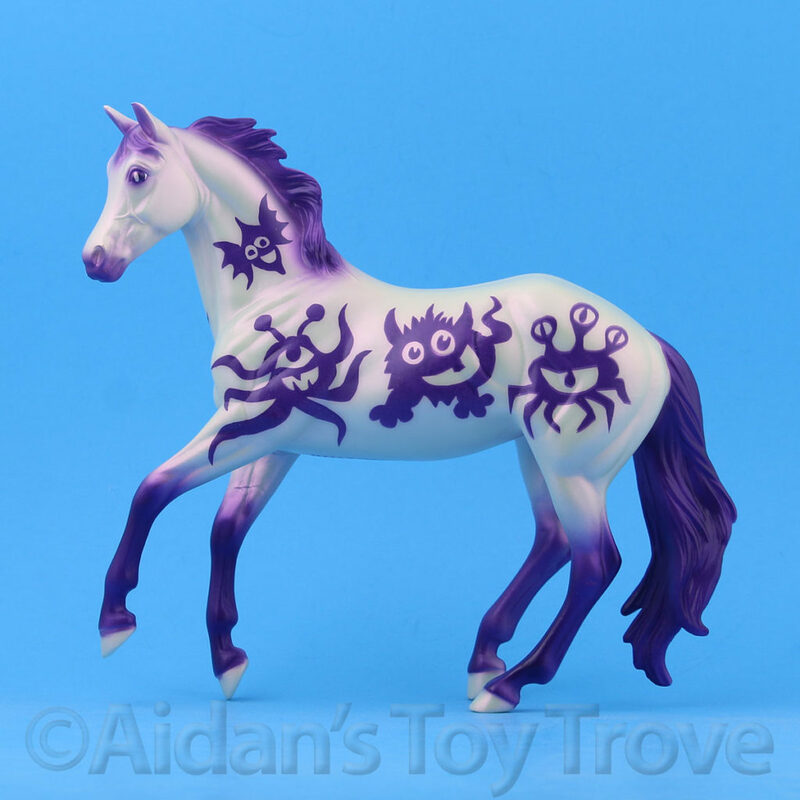 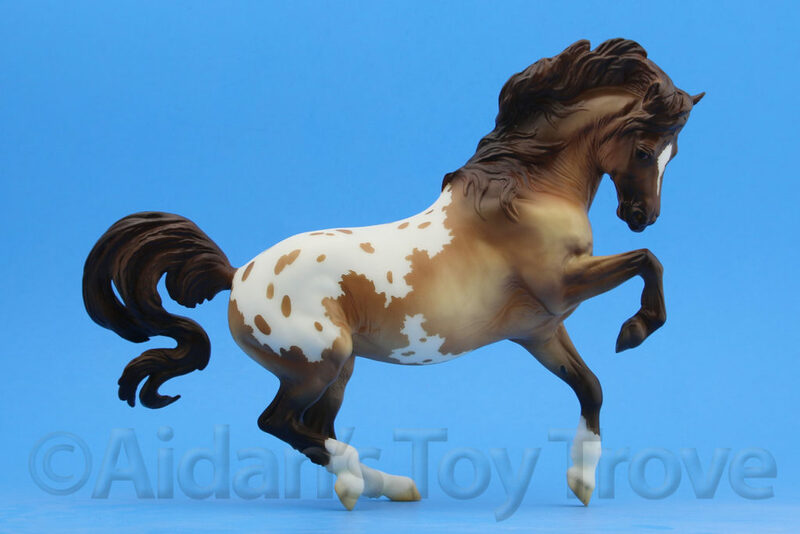 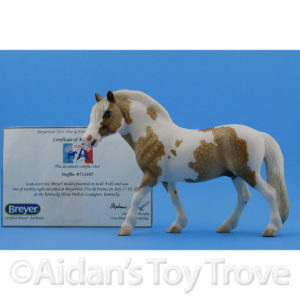 For sale is a Traditional Scale NIB Breyer Holi 711278. 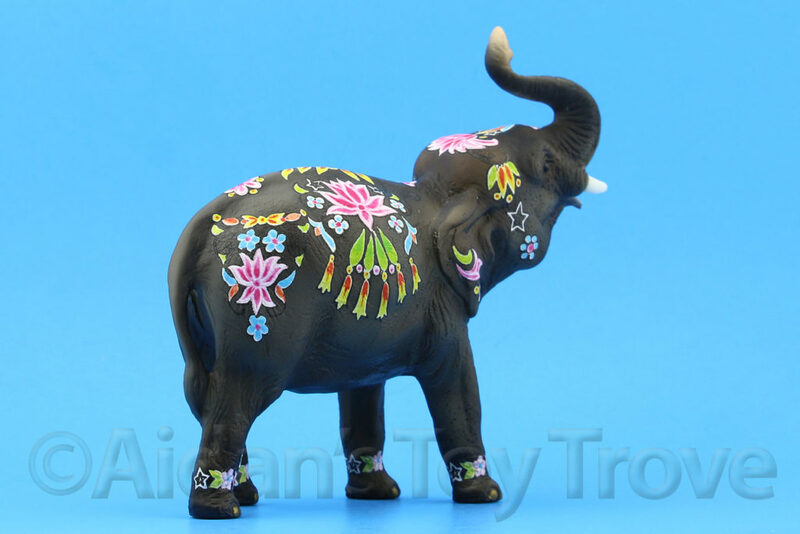 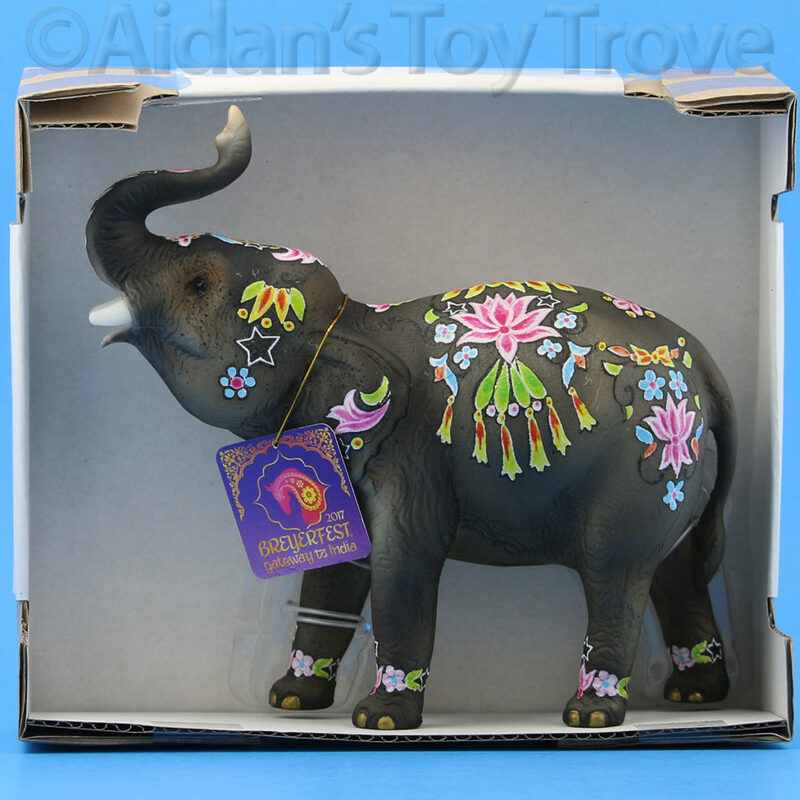 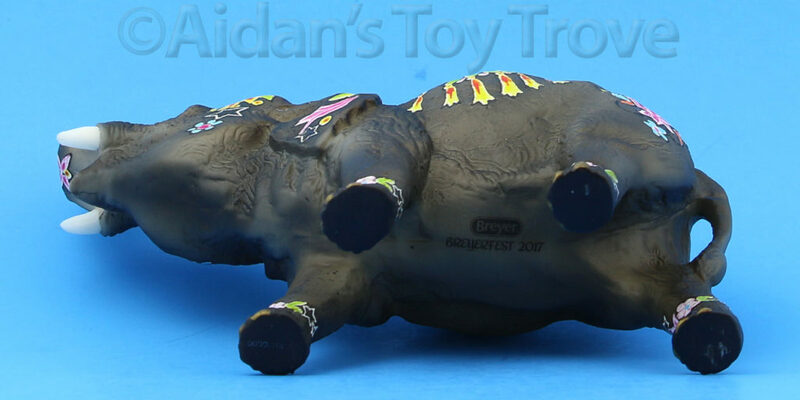 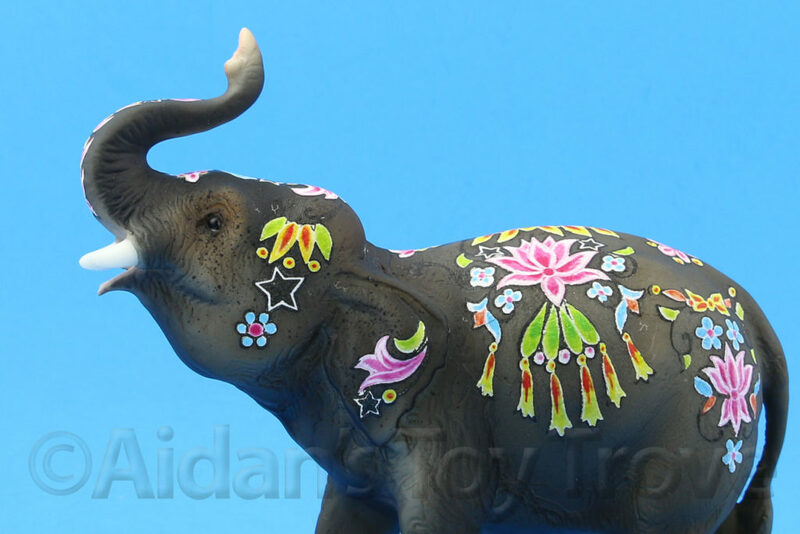 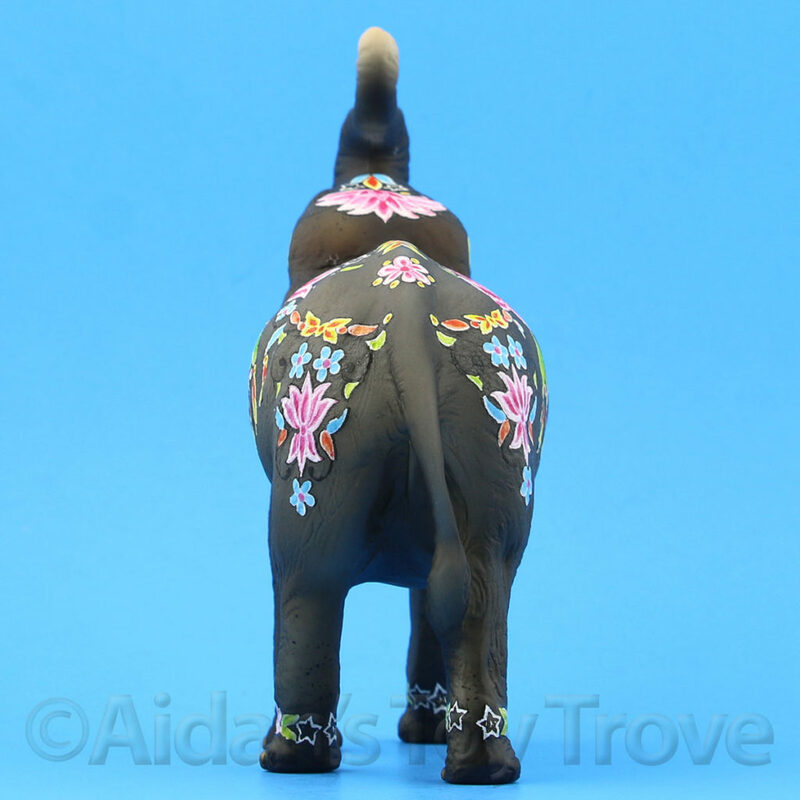 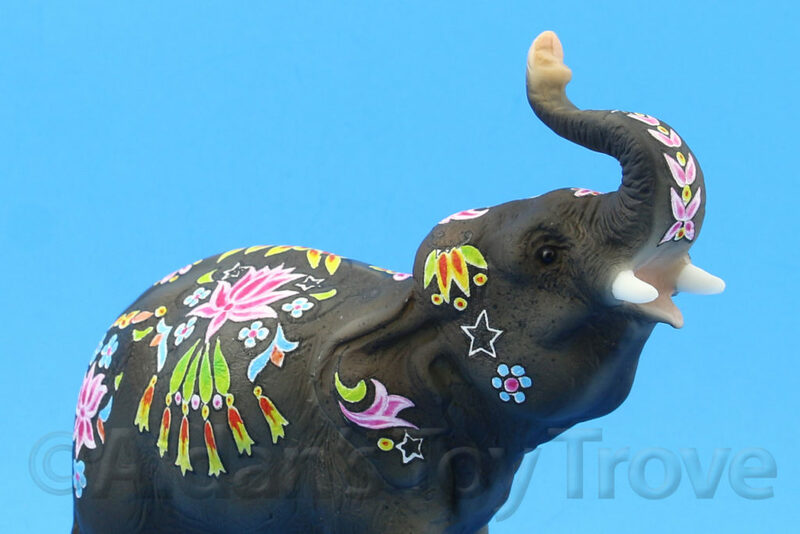 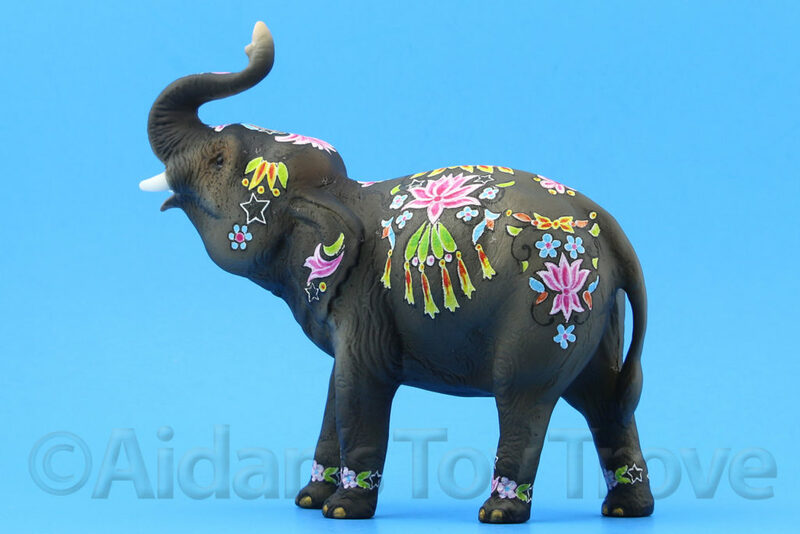 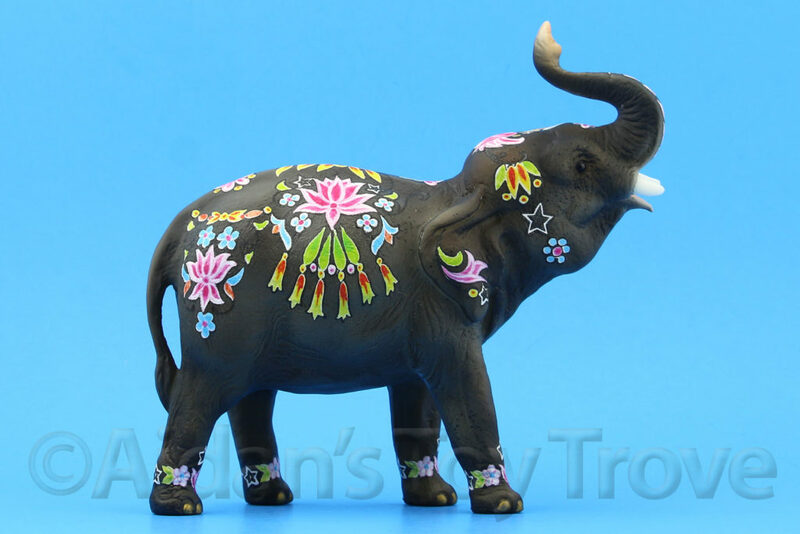 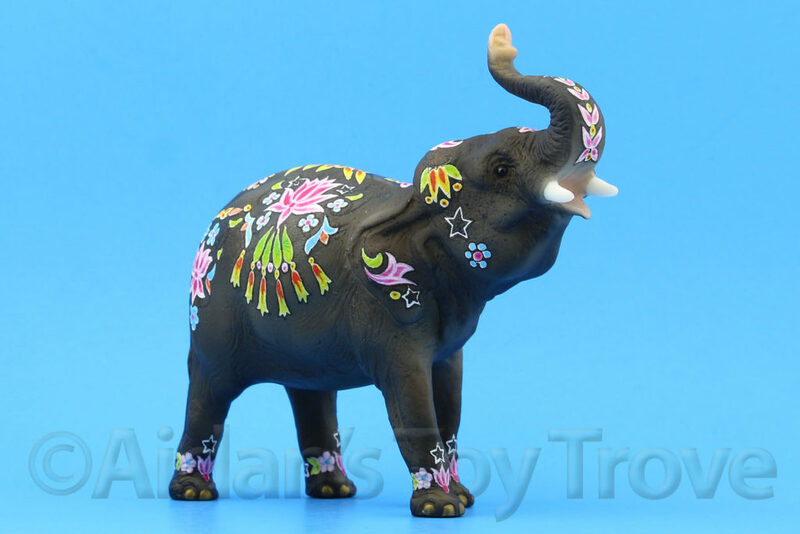 He is the Elephant mold in a nice warm grey with colorful decal decorations. 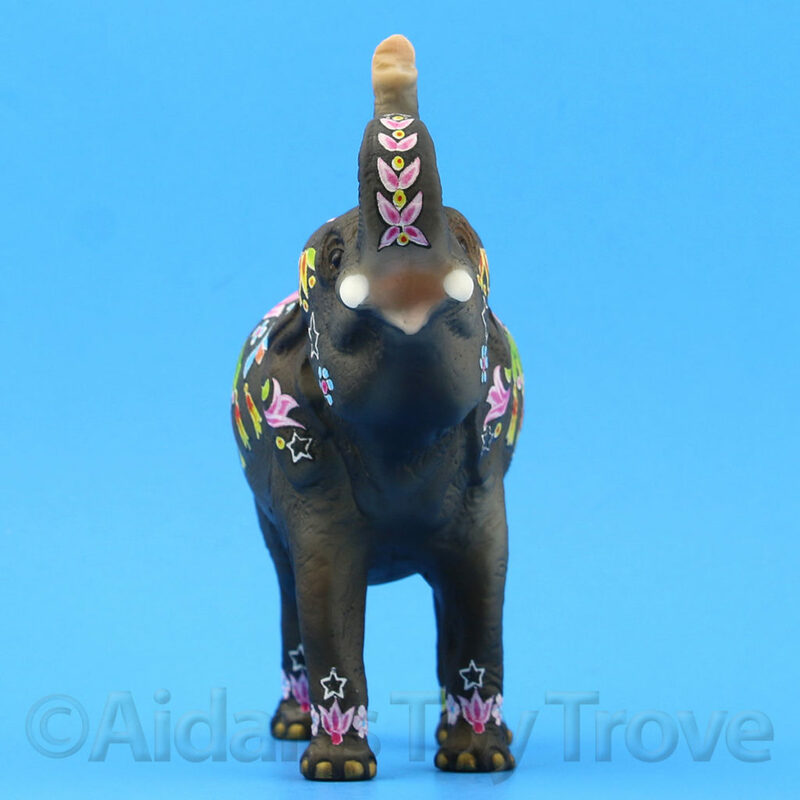 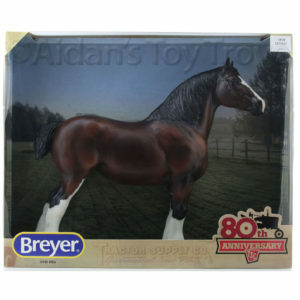 The Breyer Holi 711278 was a BreyerFest 2017 Bazaar Store Special Run and was limited to 1,000 pieces. 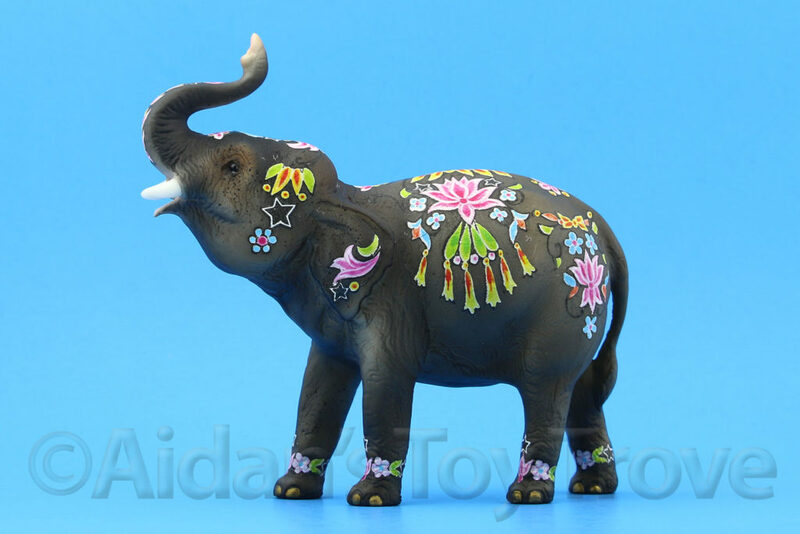 Breyer’s Elephant mold was based on Bimbo, a very small elephant. 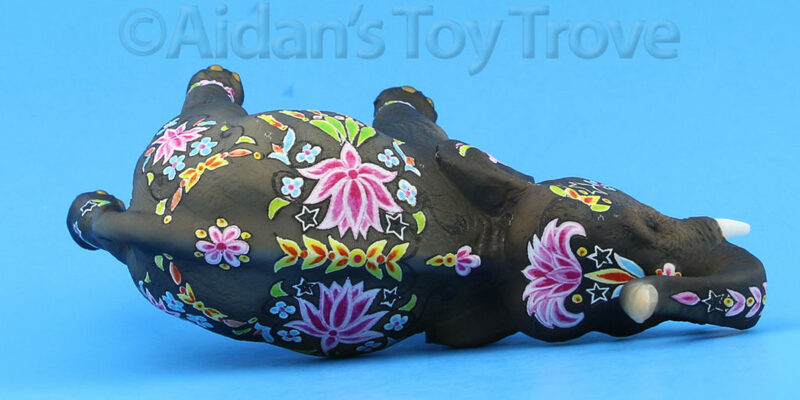 He measures approximately 7 inches long by 6.5 inches high. 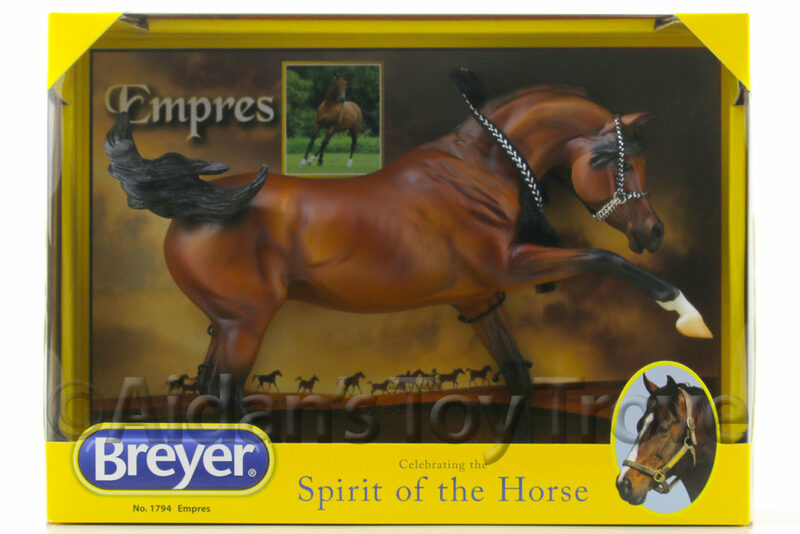 Some may classify the Breyer Elephant as Classics Scale. 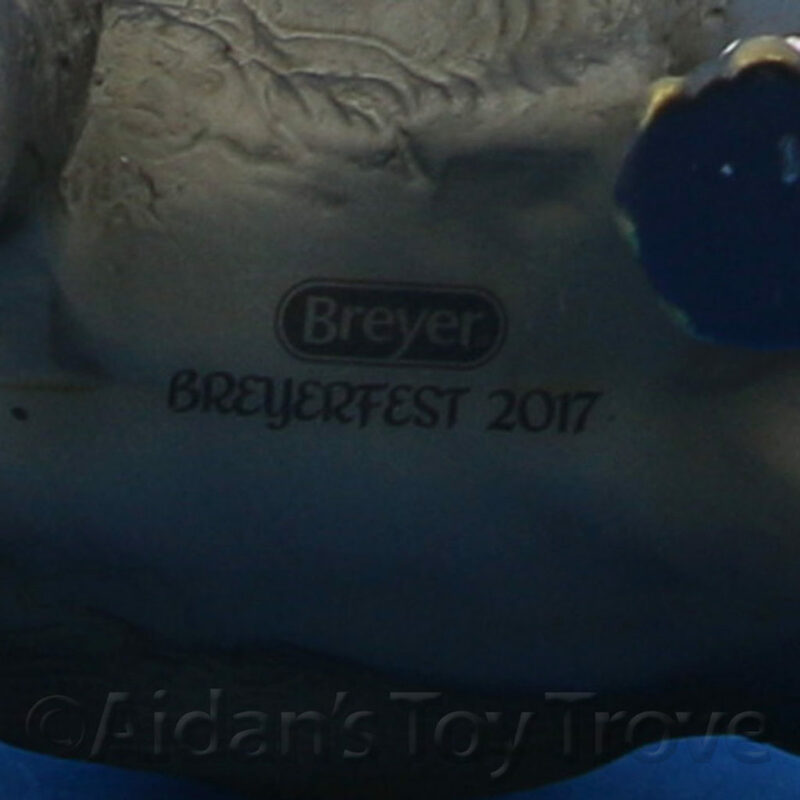 Breyer seems to have had issues with Holi’s decals. 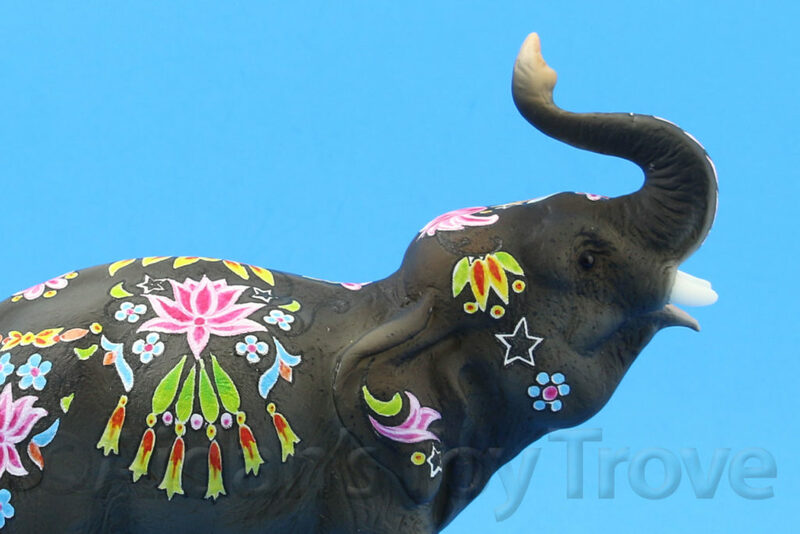 Almost all of the Holis that I have seen are a bit tacky to the touch and have odd looking cloudy wrinkles. 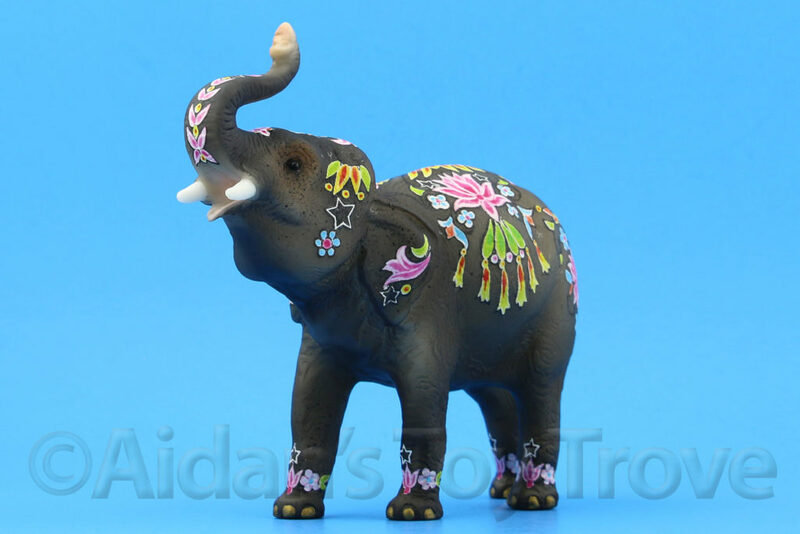 I have included many pictures of one of our actual Holis. 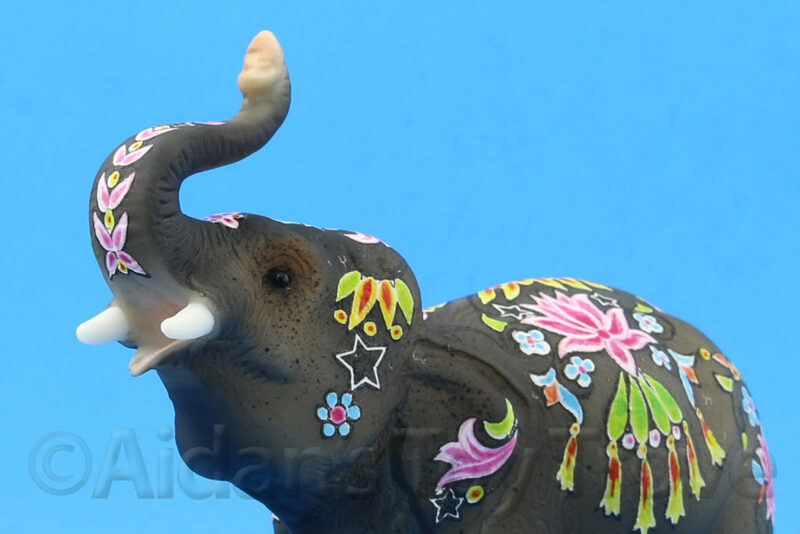 My photography lights emphasize the cloudiness but please examine the pictures closely so that you are aware of Holi’s condition. 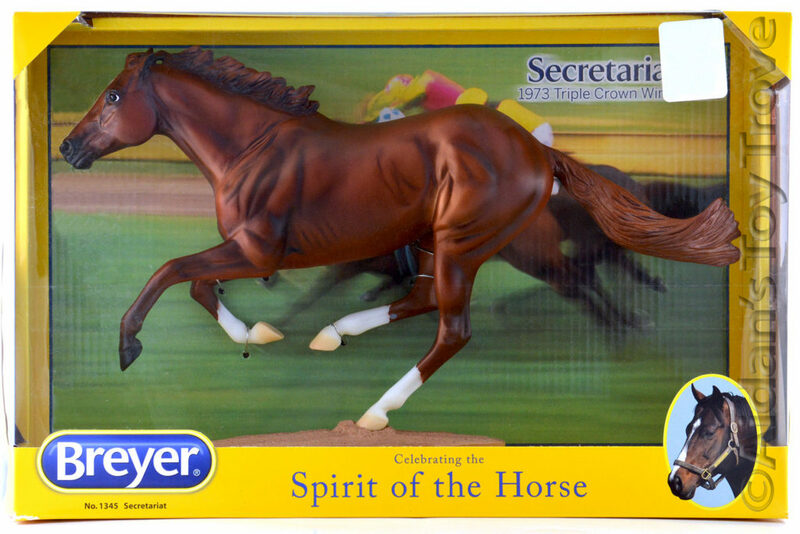 Holi is in the exact factory condition that I received him from Breyer. 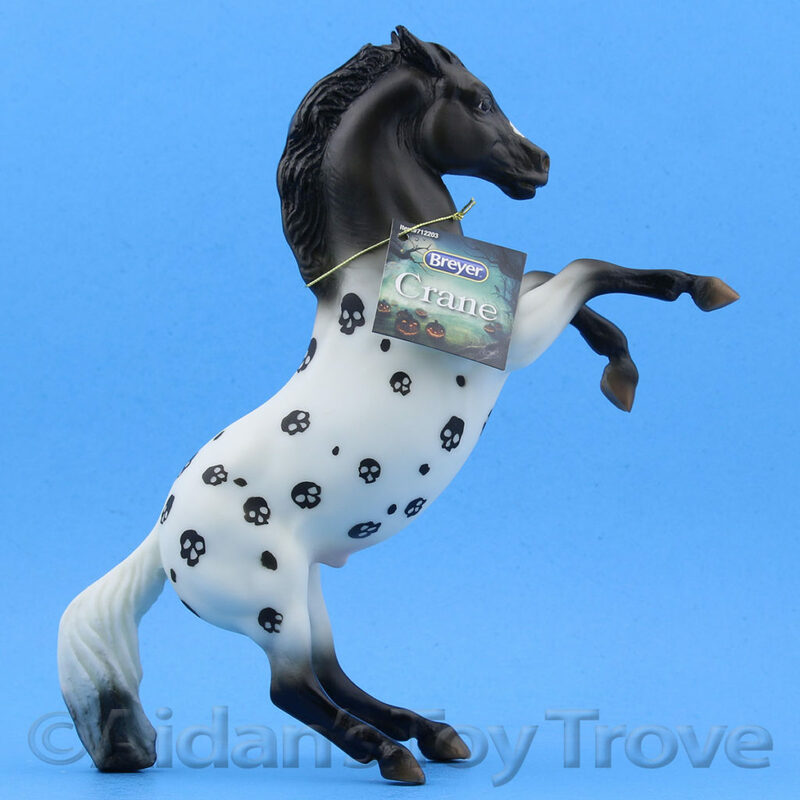 Please note that I have multiples of this model you may not receive the exact horse pictured. 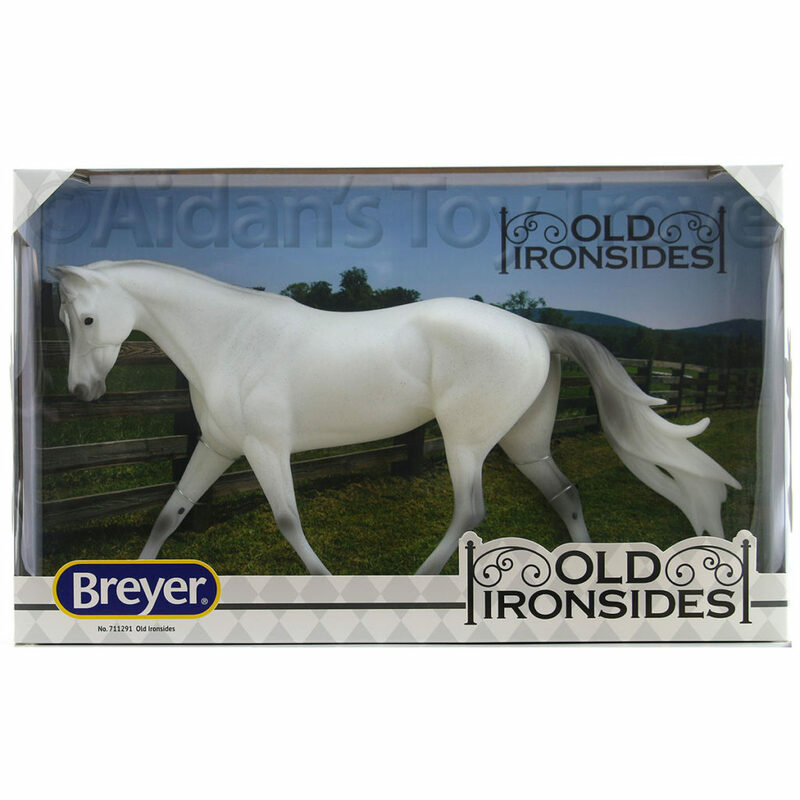 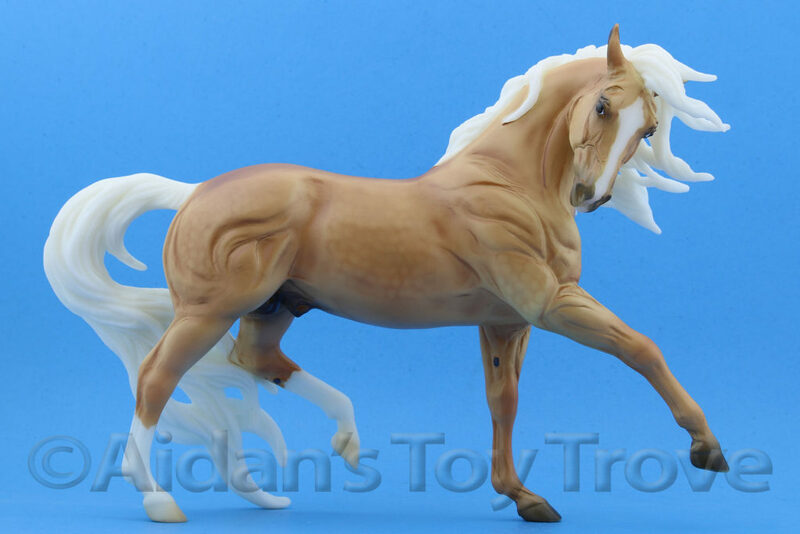 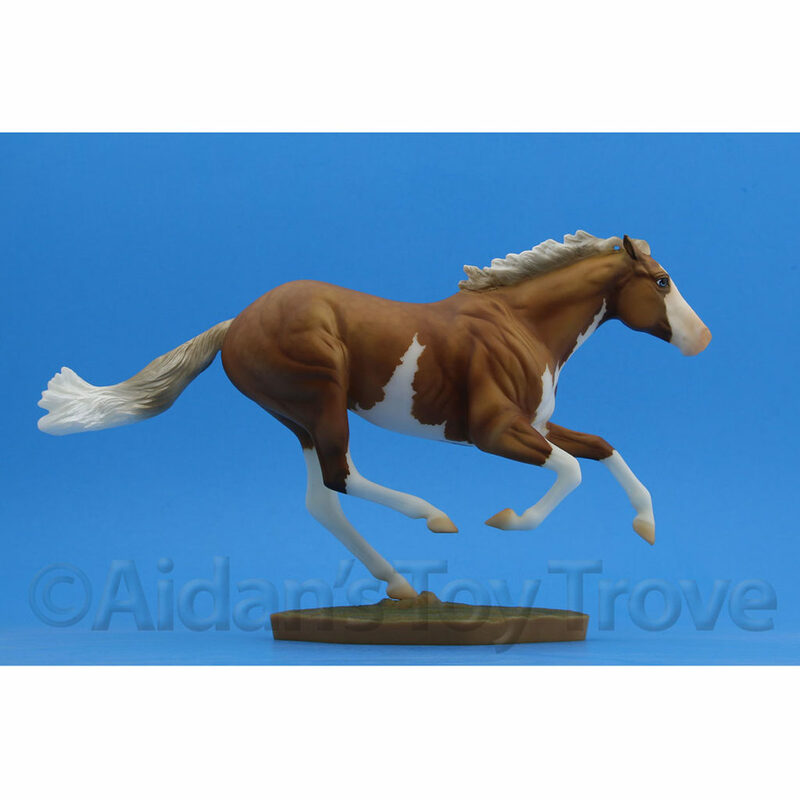 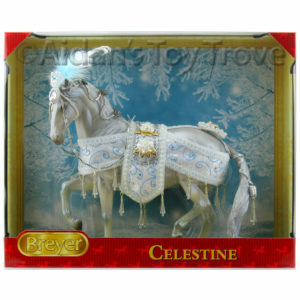 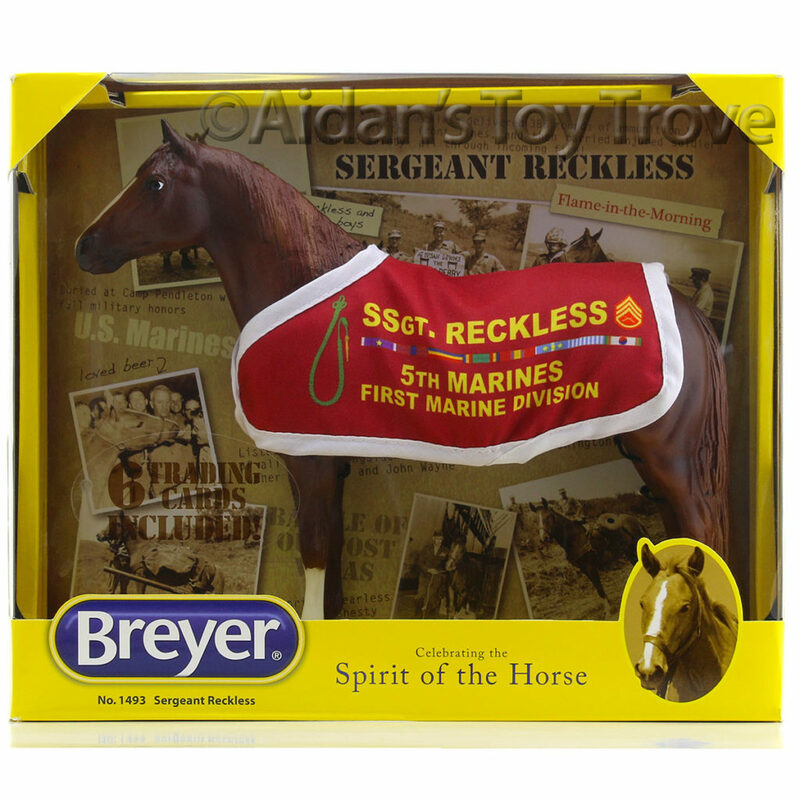 You will receive a brand new, freshly opened for inspection only, Breyer Holi 711278. 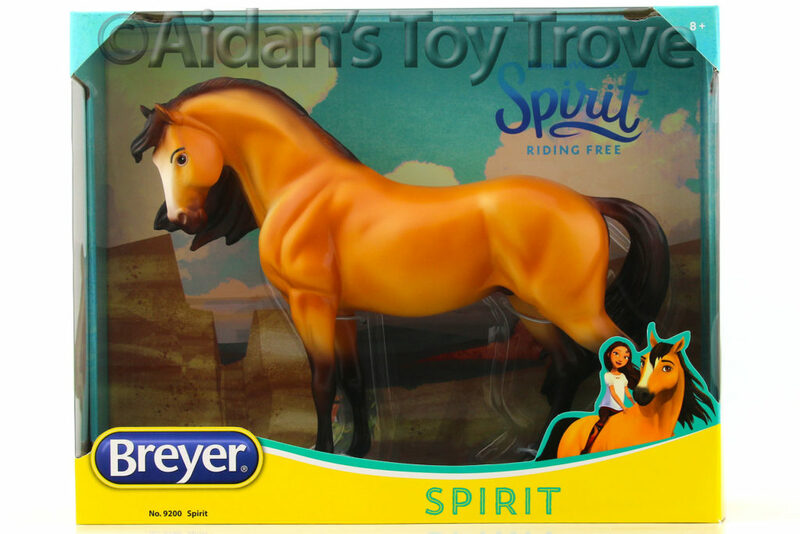 The original packaging and hangtag is included. 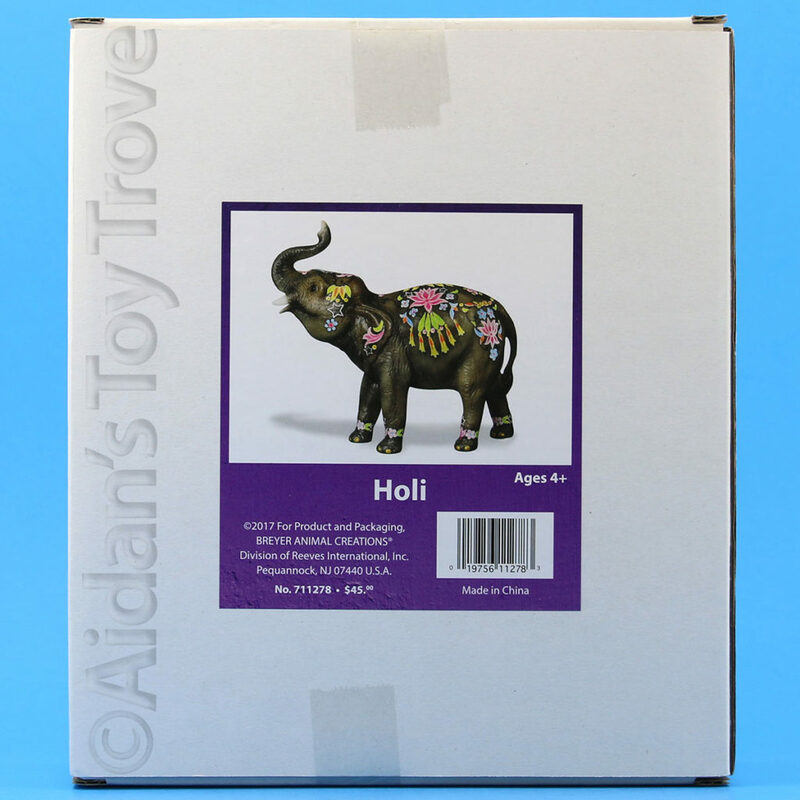 Holi will ship in his original white shipping carton. 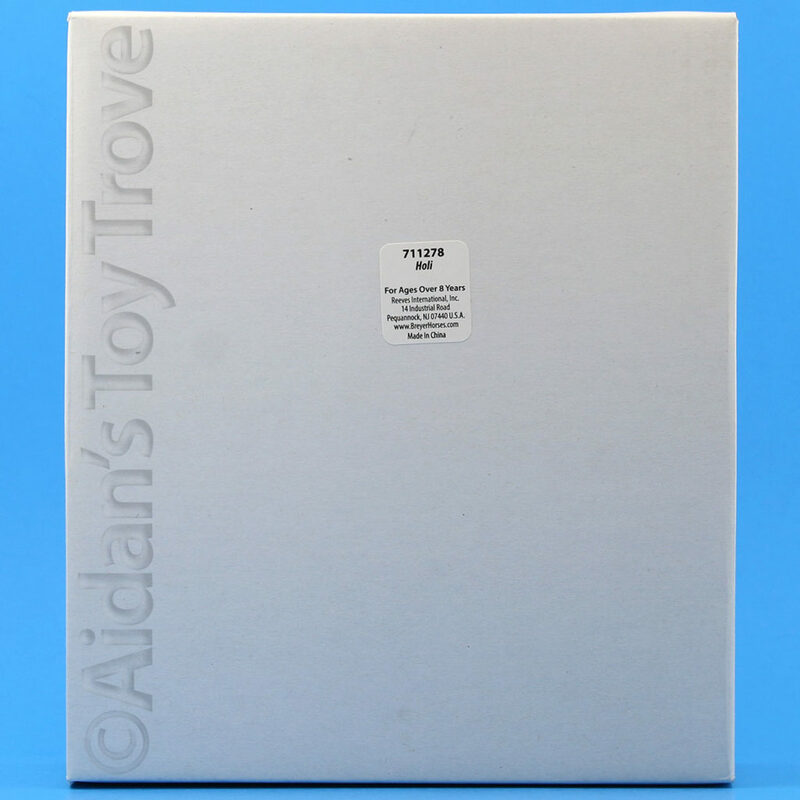 The shipping carton will have a shipping label and wear.